"There are a multitude of benefits of training in the Martial Arts, some more obvious than others. From defense of self as well as the safety of those around you to fitness and flexibility which help you remain healthy for the years to come to confidence and self discipline. 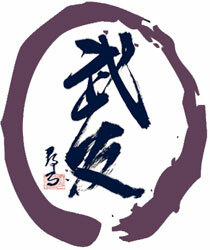 Martial art training has increased the quality of my life a hundred fold. My story is a common one. I grew up in a very poor small rural town. My high school nearly lost its accreditation two years running. Students and parents were asked to donate paper as the school no longer had enough money to provide teachers with paper for test etc. The most common things to do were drinking, drugs etc. They were not any real opportunities for children or adults alike. My friends and I started training in the martial arts at a young age and because of our training we would all work out together after school, instead of going down a darker path. We didn't have the time nor the desire to derail our training by partying or worse. Fast forward 20 years later and the real benefit to training in the martial arts is much more obvious to me now. This training has built in strategy for overcoming attackers whether they be human (physical) or life's hurdles (emotional). Through the disciplined training and employing the life values to my own life I was able to many overcome many of life's obstacles. I credit my martial art training for the success in my life. My understanding of the deeper martial concepts led me to a very successful career in Institutional Asset Management which gave me the opportunity to build a successful business in Commercial Janitorial Services. I have many more years to make my way in this world, but I am who I am because of Martial Arts." "I began training as a way to work through some life issues. It has become an integral part of my life. Not only has it helped me to reconnect with my body, but Bujinkan training has strengthened my body and my mind. I work with teens, and my Bujinkan training has been an invaluable addition to my work. I am better prepared to protect my students and myself. A wonderfully surprising additional benefit of training in the Bujinkan are the friends I have found. The network of dojos and practitioners throughout Northern California have become a second family, one that I've found I can count on beyond the boundaries of the dojo." "The Bujinkan training has helped me in every aspect of my life. The patience, perseverance, and persistance utilized in training have helped my professional and personal lives in more ways than can be imagined through a martial art."